Wedding on the cards and are you still looking for that unique wedding ring? 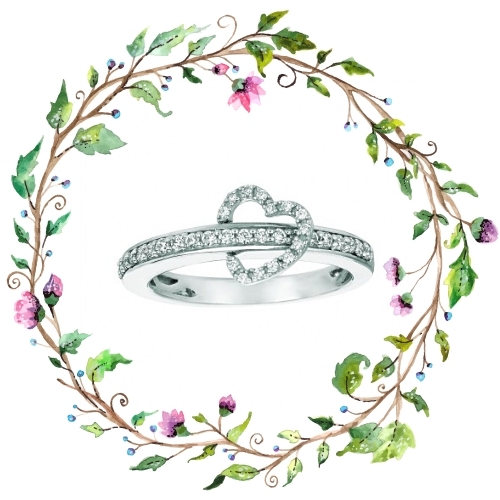 Create that beautiful bond with your loved one as you choose exotic designs on wedding rings. You can have the entire piece of jewelry customized from the scratch. You choose the setting. It can be a durable or a hypoallergenic form of metal like platinum or palladium. Else you can feel free to choose between white, yellow or pink gold. You can select styles like pave-cut designing, bezel setting, prong styled and lot more. You can have the bands engraved using enigmatic fonts or signature styled calligraphy. You will simply go head over heels in love with this particular band. 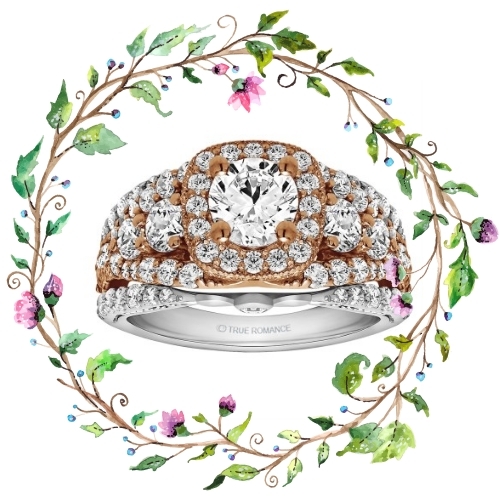 The wedding band glitters and gleams through its style. You get two layers decorated with intricate diamond stones. 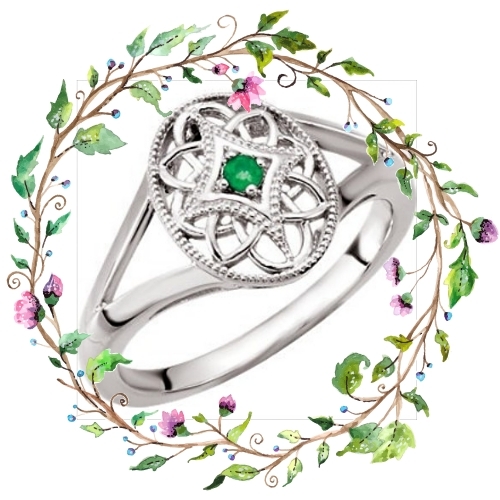 Make your wedding day truly special by gifting your darling with the finesse ring. The fabulous band makes a super-cool collection amidst your diamond jewelry closet. This eternity band has a design resembling a crowning tiara. The stones are whopping 0.49 carats. You have a free ring sizer that precisely gives you the ring measurements. On a typical 14K white gold setting, you have the astonishing design that has been engraved. Go in for large designer stones to make your wedding day event memorable forever. These are the 7 huge stones held tight within jump rings. It is the mystical 14K white gold that goes into the making. The decorative stones weigh 0.50 carats. The larger than life concept can be re-lived with this tantalizing piece on jewelry. This is a typical vintage designing style that has been incorporated, while creating the petite form of jewelry. The design comes to life with three flowers clasping against each other. The flower heads form a magnanimous style indeed. You have diamond stones covering the entire setting. The stones are worth 0.49 carats. The diamond band is truly an incredible pick, to bring blossom into your girls’ life. Aren’t these four trendy varieties on wedding rings just so unique for you to choose from? So wait no more and pick the best one for yourself with Ellis Fine Jewelers. They display stunning designs on bridal jewelry, earrings, pendants, bracelets and lot more. To reach the hub online, log on to https://www.ellisfinejewelrs.com/. Every Engagement Ring Speaks Something About You! So, if you are interested to know that what your engagement ring says about you, then read this blog written by Elena Donovan Mauer. She has beautifully explained the significance of every type of engagement ring. The look: Also known as brilliant-cut, this tried-and-true shape reflects more light than any other, and is the most popular. Avril Lavigne showed her traditional side by wearing a round diamond engagement ring. The look: Inspired by the Asscher, this glamorous choice is also a rectangular step-cut shape. It has fewer facets than some of the other shapes, so look for an emerald-cut that offers maximum brilliance. This choice says you’re: Efficient and straightforward. The look: Rectangular with curved sides, the cushion-cut first hit big in the 18th century. A recent resurgence in popularity has given it a modern-meets-vintage feel. Ben Affleck gave Jennifer Garner a cushion-cut rock. This choice says you’re: Organized and daring. The look: This relatively new square shape, with a modern, understated feel, combines a sparkly, brilliant effect with a geometric step-cut. You can attribute its spectacular glitter to extra faceting around the rim. This choice says you’re: Decisive and fun-loving. 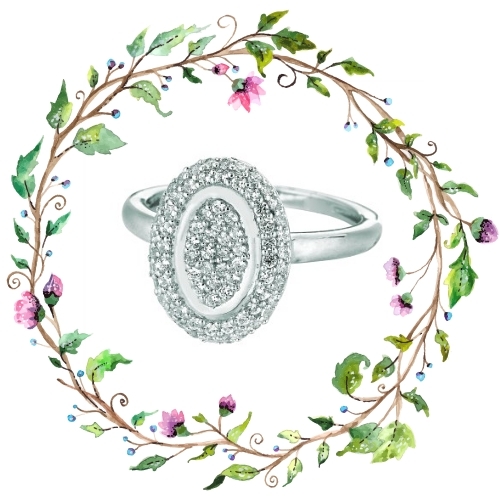 The look: This century-old shape, symbolizing love and devotion, should be well proportioned for optimum sparkle. Kid Rock proposed to Pamela Anderson with a yellow heart-shaped diamond. This choice says you’re: Sentimental and dreamy. The look: Resembling a teardrop, a pear-shaped diamond has the fire and beauty of a round shape, but with a less conventional look. This shape can also make a wide finger look slimmer. This choice says you’re: Even-tempered and adaptable. The look: If you love the gorgeous sparkle of a round, brilliant-cut diamond but still want something unique, consider an oval. A fresh take on a timeless style, this new shape came about in the early 1960s. Actor Jerry O’Connell recently gave his betrothed fashionista, Rebecca Romijn, an oval-shaped sparkler. This choice says you’re: Risk-taking and creative. The look: Square with angular corners, this shape dates back to the late 1800s. If you look closely, you’ll see that it’s step-cut, meaning the facets are rectangular and seem to descend into the stone. This choice says you’re: Feminine and meticulous. 73: Percentage of brides who help choose or affect the choice of engagement ring. 4: Average number of jewelry stores those brides visit. $2,600: Average amount spent on an engagement ring. 50: Percentage of diamond engagement rings that include round diamonds. The runner-up: square shapes like princess and emerald-cut. The biggest rise in popularity has been in vintage-inspired shapes like cushion and Asscher. Explore beautiful styles of diamond & non-diamond Engagement Ring at Ellis Fine Jewelers. If you want to get your customized engagement ring, then give us a call at 04-782-9314. You can also share your queries at Facebook, Twitter, Instagram, or Pinterest. Comments Off on Every Engagement Ring Speaks Something About You! Uniqueness & difference in the jewelry come from fresh & new ideas. This art of representing jewelry according to your own imagination is known as Custom Design Jewelry. Thinking about custom ideas is easy, but when it comes to transforming those ideas into a reality, this may take a toll on your pocket & time as well. So, to solve this problem, Ellis Fine Jewelers has brought 5 main pillars of custom design jewelry that can help you to buy custom design jewelry. This 5 points will allow you to acquire the perfect customized piece without employing extra time and shelling out extra cash from the pocket. Every creative & unique thing need a proper planning because an ideal planning creates a way to creative ideas. If you want to add a custom feel to your jewelry piece, then make a detailed plan. This plan comprises the detailed acknowledgment of the type, portion, style of customization you need in your jewelry. This will help you to plan your budget efficiently. Next comes the look & appearance of your custom design piece. If you want to achieve that wow element in your jewelry, then you need to focus on its size, shape & setting. These 3 factors determine the appearance of your customized piece. Size – It is an important considering factor while buying or selecting jewelry like an engagement ring, wedding band, and stylish neck piece. While custom designing the piece, this size factor will help you to keep your jewelry safe and secure. Shape – Shape plays a crucial role in custom designing the jewelry. It is the shapes of diamond or stones that bring uniqueness & add a custom element to the jewelry. It is the shape that transforms the simple jewelry into an awe-inspiring piece. Setting – This is the important considering factor while buying an engagement ring or wedding band. Different will be the setting, unique will be the ring or band. Metal choice contributes to making your customized jewelry more alluring & unique. When it comes to selecting varieties, numerous options are available including Yellow, White, & Rose Gold, Sterling Silver, Platinum, Titanium, and much more. Before selecting an ideal metal type, consider the few important things like wearer’s style & preference, skin tone, and nature of the skin. While assembling custom piece, always prefer the hypoallergenic metal type that is comfortable to wear and does not cause any skin allergy. Now you need to decide upon that what you want to choose to embellish your piece, diamond, gemstone, or colored stone? To acquire the perfect & authentic diamond/stone jewelry, you need to acknowledge the science of authenticity clearly. To achieve this, you need to go through 4 essential elements of diamond quality – Cut, Clarity, Carat, and Color. The value (credibility & authenticity) of the custom design jewelry is determined by its quality. Thus, to acquire authentic & certified jewelry you need to choose a professional & certified Jewelers, who can ensure you with the certified diamonds that are ethically sourced by GIA and IGI. Always consider keeping your ring safe & secure with the suitable insurance policy. These are the 5 main pillars of the Custom Design Jewelry that give the better insight into the way of acquiring value for money customized piece. If you are looking for an exotic collection of the diamond & non-diamond Custom Design Jewelry, then visit us at Ellis Fine Jewelers located at 29 Union Street South, Concord, NC, 28025. You can also call us at 704-782-9314 or ping us on Facebook, Twitter, Instagram, or Pinterest. Finally, you have decided to seal your relationship with the pious wedding vows, but stumbled upon the style & setting of the Wedding Band? Worry not, today, Ellis Fine Jewelers have brought an ultimate guide for you to choose the perfect setting & metal for your wedding band. Prong is the common setting that is perfectly ideal for both engagement ring & wedding band. Simply put, in the prong setting, there are three or six claws that grab the center diamond/stone tightly. The best thing about this set is that it exudes maximum brilliance as maximum light can pass through it easily. Thus, it is a perfect way to show off the elegance of diamond. If you would be better half have a desire to own a complete diamond look wedding band that complements the engagement ring, then choose channel setting. This setting represents diamonds in the most beautiful way that add a wow element to the overall look & feel of the wedding band. Thus, channel setting is the perfect option to exude more diamond look in the wedding band. Bar Setting is one of the best ways to set diamonds in the band in an excellent way. Simply put, in this setting, small diamond stones are arranged separately in between vertical bars of the metal in a synchronized way. As diamonds are arranged beautifully in the separate vertical bar, so, it exposed diamond from both the side and exude perfect brilliance. In this setting, the rim of the diamond or center stone is completely wrapped with the metal edge. Bezel setting is considered to be the most ideal setting because along with timeless elegance, it ensures you with the ultimate security of your diamond or center stone. Through the pave setting, one can add a royal look to his/her style. In this setting, the surface of the wedding band is embellished with the small & shiny diamond stones. As wedding band crafted in the pave setting exude the perfect amount of the brilliance, so, it has become an ideal setting to achieve the signature look. Before jump on to the final conclusion or wedding band, consider few things of the wearer like fashion preference, wearing style, embellishing style, taste, and overall personality. Wedding band chosen over above parameters can help you to choose a perfect wedding band for your future wife. 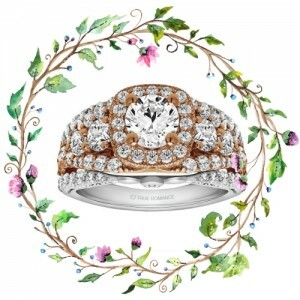 Explore the exotic & gorgeous collection of diamond & non-diamond Wedding Band at Ellis Fine Jewelers. For any custom, requirement give us a call at 704-782-9314 or connect us on Facebook, Twitter, Instagram, or Pinterest. Jewelry is the most impeccable way to embellish the overall look of the wearer. When it comes to getting ready for the party, women wear the most inspiring piece that can add a wow element to her style. But, what about Daily Wear Jewelry, are heavy pieces suitable to wear on the daily basis? So, to solve your queries, OneNecklace have brought incredibly detailed guide to choose everyday jewelry. This 6 point guide will let you choose a perfect Daily Wear Jewelry that complements your casual outfits. Sentimental – Are you the kind of person that has that one single piece that you wear every day and never take off? It makes it difficult when you are emotionally attached to one item for you to take it off and swap it for something else. It can also be difficult to match anything else with it. I think the key here is to find pieces that you can layer with your sentimental piece to complement it. For example if you wear a gold locket on a long chain you can add pieces around it such as a bar necklace on a shorter chain, which will balance out the look. Elegant – Do you dress up everyday? Is your style the kind where your day outfit is the ‘casual’ person’s evening outfit? I’m thinking diamonds and pearls, heels and handbags, fancy clothes, hair styled and make-up fixed. Basically, you don’t do casual but you do tone it down for the day. If your fallback is usually heavy bling then try to soften the look by adding a simple bracelet or cuff. Preppy – You always seem well put together with a geeky sort of schoolgirl look about you. The preppy look is all about being well groomed and adorably chic. Monograms and heart necklaces are a great addition to your cute outfit. Statement – People who wear statement pieces should be wearing plain, simple clothing and not overly exciting patterns or colors. What you are trying to do is allow your jewelry to stand out and give your outfit the wow factor – Your statement piece can be either a necklace, earrings and in some cases the bangle or bracelet. You can even match the bracelet to the necklace – but remember never to overdo it. Make sure to stock up on statement pieces so you have enough to swap each day and can match to each of your basic daytime outfits. Here’s how to wear statement necklaces: A statement necklace should be bold and big in size – The greatest beauty of it is that you don’t need to think what to put with it, you just need that one gorgeous, stand out piece. The necklace should fit with the neckline of your top or dress and can be matched with a pair of earrings or a bangle. Do not choose opposite types of statement pieces or they will clash, they should be of the same style / design otherwise you will overdo it. Consider how much you are able and willing to spend – then choose stores that meet that budget. If your budget is high you can be smart with your money and invest in real gold that will last forever. If you are on a smaller budget you can buy high street jewelry and get lots of different pieces, including gold plated and sterling silver items. You can build your jewelry box over time, so don’t worry if you are on a low budget, you can treat yourself every paycheck with a new piece or two. This is a great technique for everyone since new styles are coming out you should always be adding to your collection. Eventually you will have plenty to choose from. If you are looking for the simple yet elegant collection of Daily Wear Jewelry that complements your daily & casual outfits, then visit our store Ellis Fine Jewelers located at 29 Union Street South, Concord, NC, 28025. You can also call us at 704-782-9314 or ping us on Facebook, Twitter, Instagram, or Pinterest. Accentuating the style with the sparkling elements or jewelry can make a bridal look more charismatic. When it comes to buying Bridal Jewelry, women always prefer simple & elegant Bridal Jewelry. If you are a would-be-bride and looking for a latest bridal jewelry trends & styles , then Davids Bride have brought different Bridal Jewelry that can add a classic touch to your bridal look. Need help accessorizing for a big event? No matter where you’re going or what you’re wearing, these on-trend and on-budget pieces will complete your look beautifully. Cubic zirconia jewelry and weddings go hand-in-hand. Its sparkle lights up your face just as radiantly as real-deal diamonds, but it doesn’t come anywhere close to their price tag. Another timeless wedding jewelry option? The glowy luster of pearls. Pearl earrings or a necklace adds elegance and refinement to every look, and will never look dated in photos. When you’re a member of the wedding party, the bride may choose your accessories–they’ll often give jewelry as a bridesmaid gift, usually something sentimental or personalized. If accessorizing is left up to you, may we suggest rose gold jewelry? Pink-tinted and pretty, it combines the glossy shine of the 24-karat classic with rosy warmth that flatters every skin tone. Brilliantly glittering and undeniably eye-catching, statement earrings are just the thing for the woman with a glamorous event on the horizon. Craving the most opulent option? Dazzling cubic zirconia jewelry will make you feel like you’re on a red carpet. The choker necklace is having a moment, and everyone seems to be sporting the must-have trend–scrolled through your Instagram feed lately? For prom, choose one that has a little sparkle to it. If you want to put the spotlight on your ears, try a pair of dramatic, shoulder-sweeping dangle earrings. These are the few amazing Bridal Jewelry that can perfectly deck up your bridal look on your special day. Here in this blog, you’ll get the amazing ideas for bridesmaid jewelry as well. 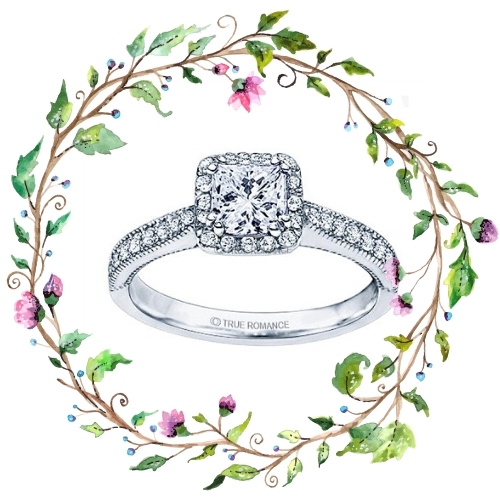 If you are looking for the gorgeous Bridal Jewelry for your wedding, then Ellis Fine Jewelers will provide you with the stylish diamond & non-diamond Bridal Jewelry. Here, at our store, you will get the awe-inspiring collection and out-of-the-box custom designed bridal jewelry. Visit Ellis Fine Jewelers Store located at 29 Union Street South, Concord, NC, 28025. You can also call us on 704-782-9314 or ping us on Facebook, Twitter, Instagram, or Pinterest. Ellis Fine Jewelers is a renowned and reliable name across Union Street South, Concord, NC when it comes to owing stylish and quality-grade Diamond and Non-Diamond Jewelry. Our prestigious customers and visitors visit our store because at this place they could find stylish pieces wrapped in the remarkable designs. These awe-inspiring pieces not only help them to get tonnes of the glance but also help them to attain a signature look. Be it Engagement, Wedding, Anniversary, or Baby shower, we always strive to become their true Jewelry and gift partner. We not only provide our customers with the exotic collection of jewelry but also showcase an exclusive collection of fine gift for every occasion. In today’s blog, we will share an experience story of one of our happy client, who has appreciated not only for our exquisitely designed custom jewelry but also for our premium and reliable jewelry services. Chris B was one of our customer, who approached us when he was at the doorstep of his engagement. Chris visits our store to purchase a Diamond Engagement ring for her fiance (now wife). As he doesn’t have any idea about jewelry and diamond, especially that what kind of design & style a girl prefer to wear. In this case, Dan helped him to understand each and every nooks and cranny of the diamond and engagement ring. Dan has explained all the process including setting, styles, and types of an engagement ring. It takes a whole day to explain the anatomy of an engagement ring, Chris was looking quite satisfied with this session. In the next morning, he visited us again with the new style and design to select an Engagement ring. After spending much time, he could not find that matched his requirement, so, he finally came to a conclusion that he will go for custom design engagement ring. 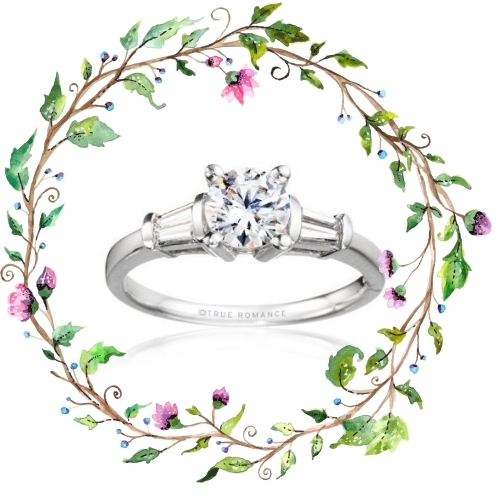 Chris wanted us to design an awe-inspiring customized design engagement ring for her fiance. As his fiance love large diamond look and vintage style ring, so we proposed him for Vintage Halo Engagement Ring. For this, we have arranged multiple meetings in which Chris has discussed his design brief with our custom designers and diamontologist. “When I first walked through the door at Ellis Jewelers I immediately felt welcome. I was looking to purchase an engagement ring for my now Fiance and had a specific style in mind with a picture of it. Being a male, I had zero knowledge of diamonds and ring styles but Dan led me through the process and it couldn’t have been easier. I worked directly with Dan the entire time, looking to find the exact style I wanted. After a good search, we were not able to find anything that matched so Dan decided to have the ring custom designed and made exactly the way I wanted it. If you are also looking for professional Custom Design Jewelry, then visit Ellis Fine Jewelers Store located at 29 Union Street South, Concord, NC, 28025. You can also call us on 704-782-9314 or ping us on Facebook, Twitter, Instagram, or Pinterest. Jewelry is the most valuable and cherished thing that every woman wishes to keep it new and safe. Anyhow, they can’t afford to lose the shine and newness of their jewelry because sentimental values are usually associated with their jewelry collection. Furthermore, it is important to maintain the newness and look of your jewelry. How? Today experts from GIA are sharing some Jewelry Care Tips that can help you to keep your heirlooms sparkling for generations. If you are looking for professional Jewelry Care or Jewelry Repairing Services, then visit Ellis Fine Jewelers Store located at 29 Union Street South, Concord, NC, 28025. You can also call us on 704-782-9314 or ping us on Facebook, Twitter, Instagram, or Pinterest. After life and parents, another gift that God has given us is different relations. With these different relations, people can share their happiness, sorrow, and feelings. Friendship is one of the most adorable relations among all. The strong and incredible bond of the friendship will work as a supporting pillar in the hard days. Thus, it is essential to pamper your friend. Give them an unforgettable gift of love, something that they always remain close to them. When it comes to exuding relation through jewelry pieces, Bracelets are considered to be the perfect option. It seems like love sign or friendship symbol are wrap in the line of brilliance. In the jewelry world, this gorgeous piece is available in a diverse design that complements the style and preference of the modern fashionably conscious person. Be it Modern, Classic or Vintage design, every style of bracelet works best as a love jewelry. Bangle – Usually bangles are worn for cultural ties motives. But wearing a traditional sort bangle may mar your contemporary style. So, bangles in the bracelet style can kill two birds with one stone. First, it fulfills your traditional motives and second it really accentuate your contemporary style efficiently. Charm – If you want to convey your love message or feeling to your friend or girlfriend, then Charm bracelet is the best option. Through this, you can gift your friend something symbolic. If your friend loves the vintage piece, then you can consider gifting vintage charms bracelet. Cuff – Another awe-inspiring piece that works best as friendship connotation is cuff bracelet. The simple and elegant design of cuff bracelets can not only a perfect gift, but it also adds a vibe of uniqueness and elegance to the style of the wearer. Good and genuine friends are like family to us who always stand by your side not only in your good days but also in your hard days as well. So, pampering your bestie with a family jewelry is a great idea to reflect their importance in your life. This gorgeous jewelry will not leave your friends with ultimate surprise and happiness, but it allows you to celebrate closeness in your relation. Thus, family jewelry is all about expressing familial bonding that can solidify connections between two friends. Birthstone Jewelry – Birthstone Jewelry including Birthstone Rings, Pendants has its own significance as a family jewelry. People admire to get birthstone jewelry as a gift because along with the style attributes, it also holds various astrological benefits. Be it birthstone ring, pendant, bracelet, birthstone pieces are considered to be the most valuable gift. Initial Jewelry – Initial pieces are not a new concept, it is a vintage way to exude the closeness in a relation. Holding the initial of the special person close to heart is really an amazing experience. Initial jewelry adds a vibe of emotions to your sentiments that efficiently seal the unconditional love and bond between two friends. Dangle Charms – Think to symbolize your endless friendship with cute and elegance small symbols through Dangle Charms. The wearer can wear these symbols as a cuff bracelet or can use it as a pendant. Dangle Charms are available in the different styles including cute animals, floral motifs, stars, religious charms, and much more. Special friends need special jewelry. The best way to achieve uniqueness in the jewelry is Custom Design Jewelry. Bespoke jewelry provides you with the limitless possibilities that allow you to execute your piece according to your idea. All you need to do is just visit a proficient Custom Jewelry Designer and share your ideas. So, if you want to gift something special to your friend, then go for personalized jewelry without any second thought. If you are confused what to gift to your friend, then the above options can help you to acquire a perfect gift. Get an exclusive collection of Love Jewelry at Ellis Fine Jewelry. Visit our store located at 29 Union Street South, Concord, NC, 28025 or call us at Tel: 704-782-9314. You can also connect us on Facebook, Instagram, and Pinterest.